Our training will teach you how Microsoft Office 2003 is designed specifically to streamline communication and collaboration between internal and external team members using the desktop productivity programs that many people rely on every day. The "Document Workspaces" feature, for instance, enable teams to modify, access, and save documents in a central location. In addition, the "Shared Workspace" task pane displays tasks, related documents, links, and member lists that notify you when your team members are online. 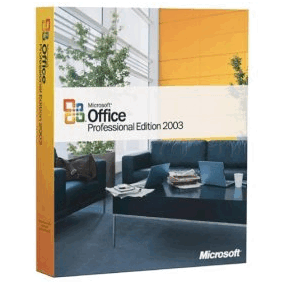 Microsoft Office 2003 training (Professional Edition) covers training for the most popular suite of software applications. Youe will learn about the new features, and functionality that can help you and your organizations to connect to coworkers, information, and business processes quickly and effectively. Netwind Learning Center Training for Microsft Office 2003 takes you step by step through your course. With our step by step approach using videos and animations, instructions and simulated exercises for review, you will be taken from the beginner through the advance level. Navigation couldn't be easier. You can go through the entire training course or go to the specific content with ease. Interactive Exercises- allows you to practice what you have learned.